This area is fast becoming a bikers destination for its great trails, stunning scenery and something for everyone. 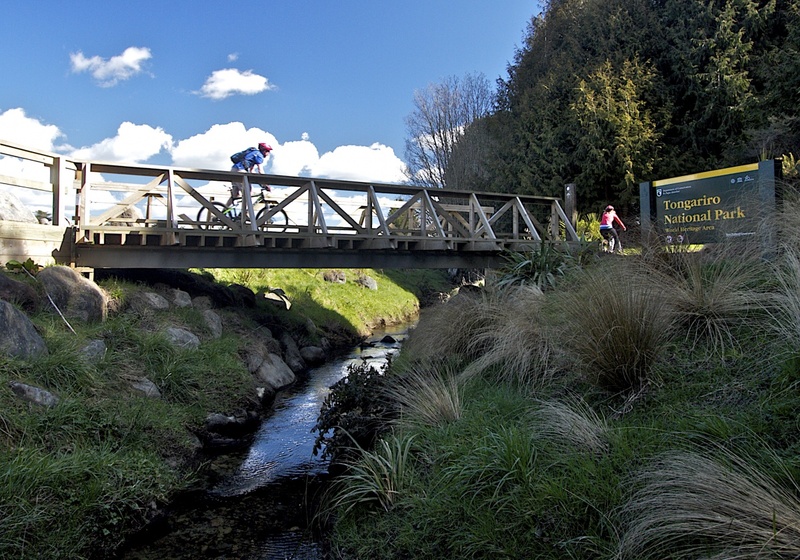 The Peaks Motor Inn, accommodation in Ohakune is ideally placed for you to access the range of mountain bike trails around the Ruapehu area and Tongariro National Park. They are many and varied and are suitable for all levels of rider, from the less experienced to the expert. 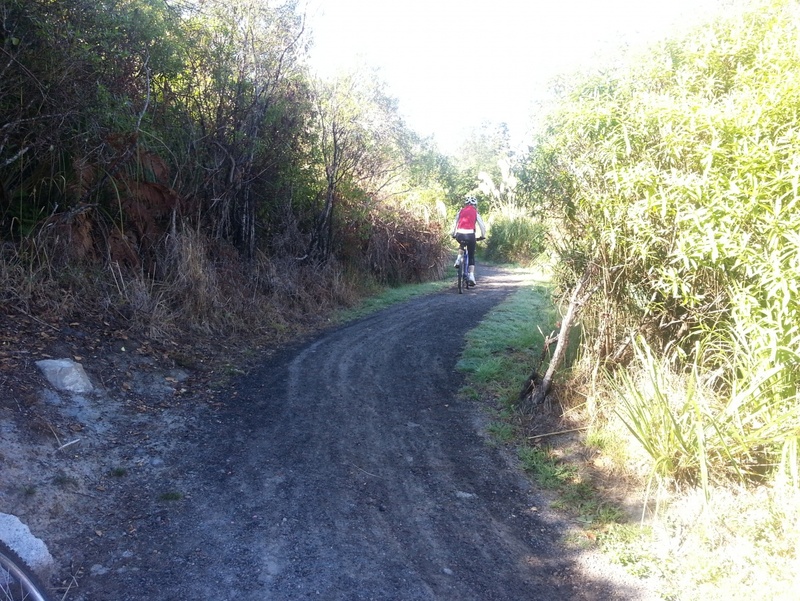 The most well known local MTB trail is the Ohakune Old Coach Road, which is immensely popular with bikers and people walking either the full length from Horopito or the loop out to Hapuawhenua viaduct and back from the carpark. 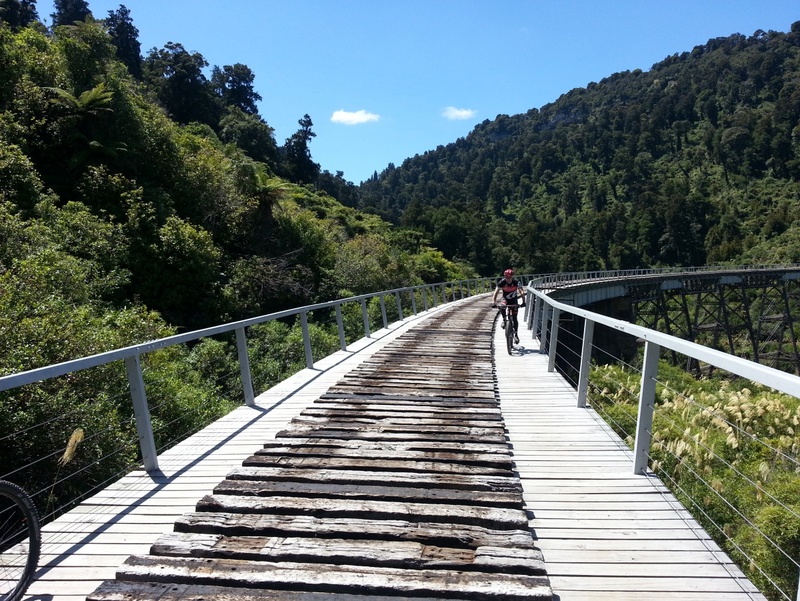 Also quickly gaining in popularity is the Mangapurua Valley trail most commonly referred to as The Bridge to Nowhere. 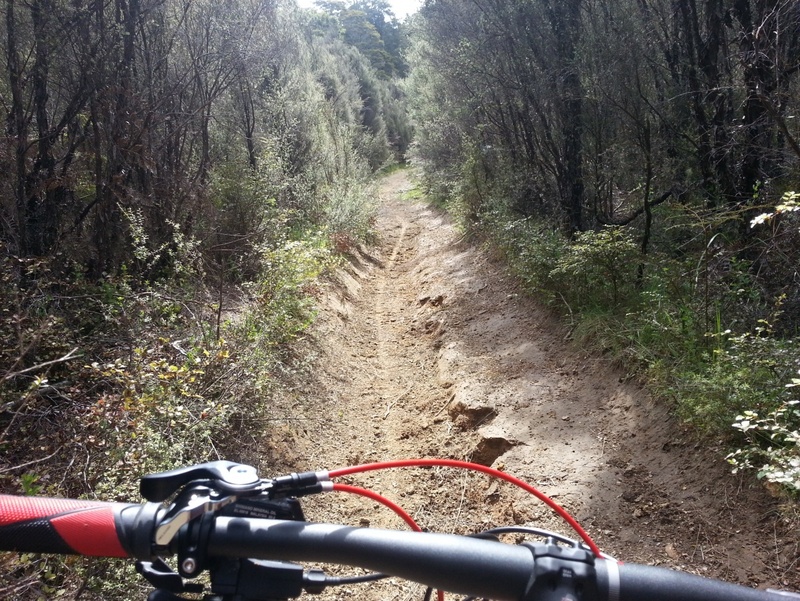 The Rangataua forest has some outstanding riding on forestry roads and trails and climbs on the lower reaches of Mt Ruapehu. 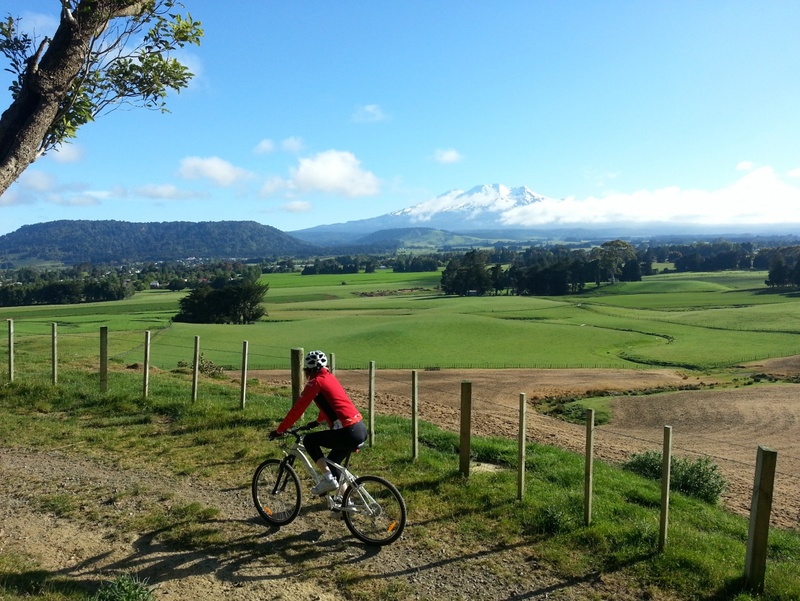 You can link this to a great ride over Ratamaire Rd which gives outstanding views back over Ohakune to Mt Ruapehu on a grassed and metal farm access rd, and when heading back to The Peaks you can throw in a quick loop of Lakes Reserve. 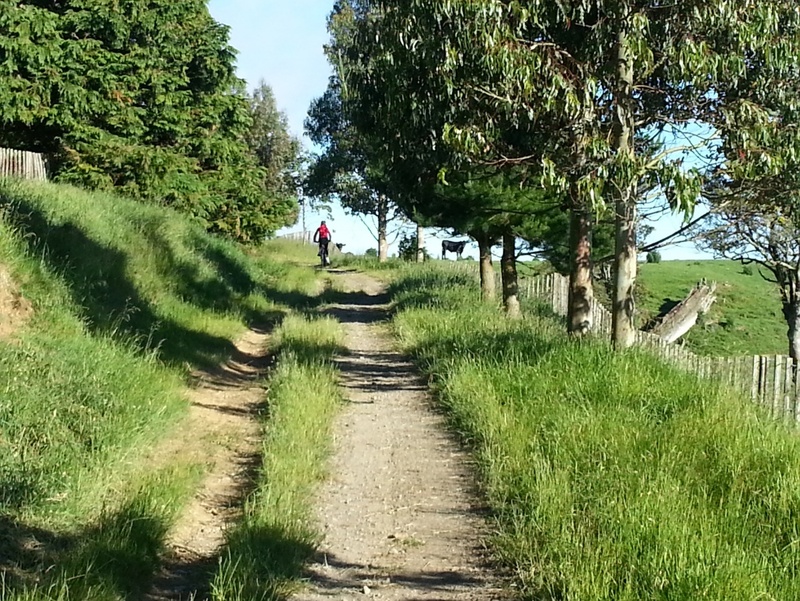 From our front entrance the Mangawhero River Trail leads you either into town for a coffee, or over the swing bridge up to the Te Pepe Pump Track. Lastly we have the ultimate downhill - 17Km on Ohakune Mountain Rd, from the Turoa ski field carpark. 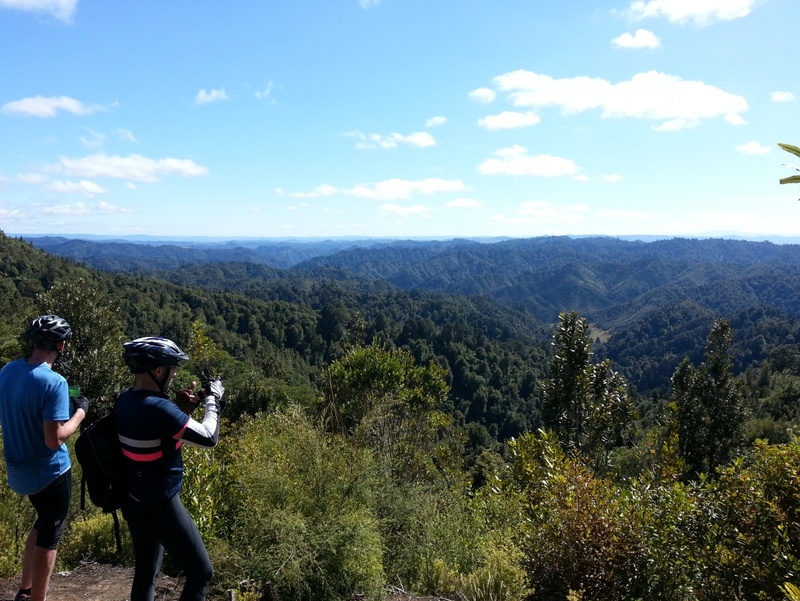 Just when you thought you'd done it all we have an outstanding easy going ride along Whanganui River Rd from Pipiriki, and further afield there's the Timber Trail through the Pureora Forest just north of Taumarunui. 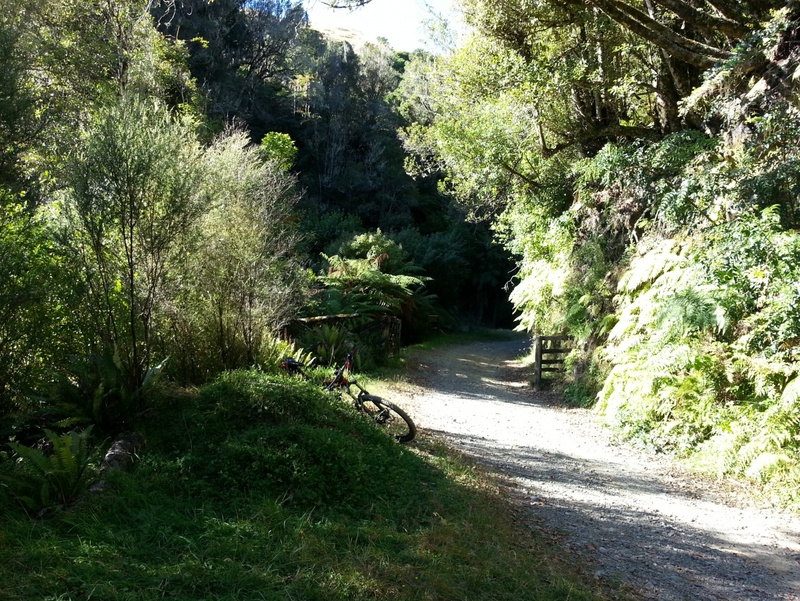 Click here to download a "Ruapehu Great Rides" map featuring 14 trails. Originally a cobblestoned road built over 100 yrs ago for train passengers to be transported between the north and south railheads. The gradient here was too steep for trains, so passengers were transferred into horse-drawn coaches to meet the next section of railway. Horopito to Ohakune or reverse. This popular 15k trail has it all, easy going grassed sections, single trail through forest, and sections where you travel over some of the original cobbles. 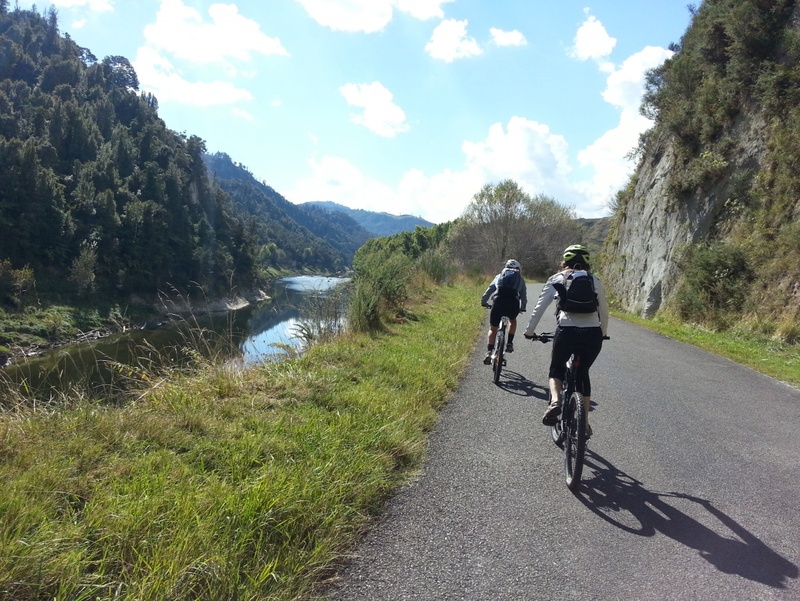 An alternative that many opt for, is to ride from Ohakune to the viaduct [rtn], which forms the first section of the OOCR and return same way. Overall it is generally regarded as a 'level 2' classification trail which makes it suitable for almost every standard of rider. It can be a little bumpy over some sections of the old cobble, however if care is taken and you don't try and ride beyond your usual capability - all will be well. You can do the Old Coach Road from either end. We can arrange transport, dropping you off at Horopito for the one way ride back to Ohakune. While at Horopito take a few minutes to take a look at 'Smash Palace' [the setting for the great NZ film of the same name] before setting out. 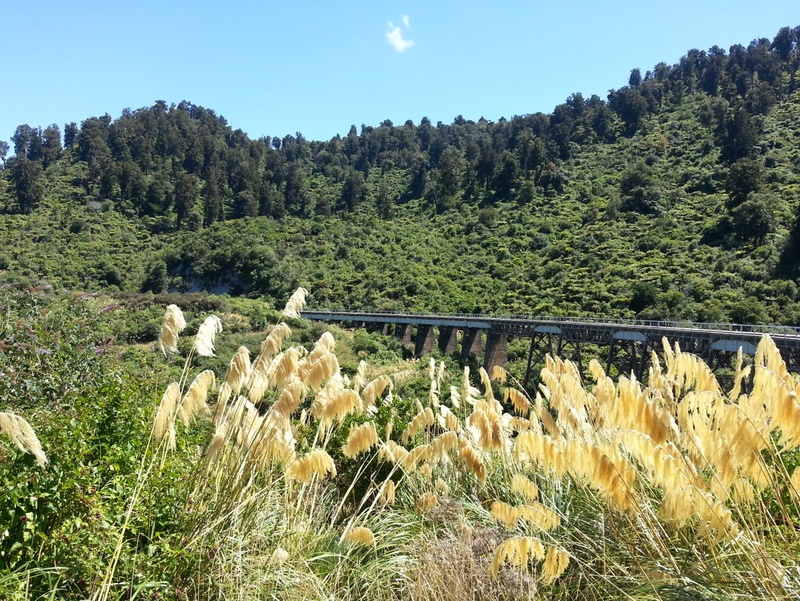 On the ride to Ohakune you gradually descend, and will ride past the disused Tainui viaduct, an old railway tunnel, through majestic native forest and over the breathtaking Hapuawhenua Viaduct, [a historic feat of engineering] before the fast downhill grassy run to the carpark and road back to Ohakune. Information boards tell you of the history along the way. You will enjoy wide scenes out across farmland to the distant ranges, and arrive back at the Peaks in time for a well deserved soak in the spa. 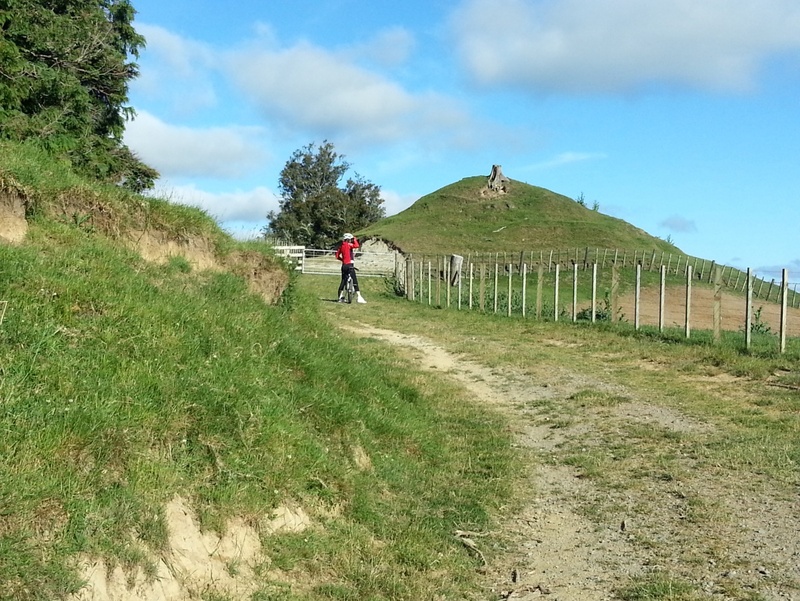 The surrounding land is steeped in rich Maori and colonial history. This valley was first settled for farming by returned servicemen from WW1. The valley is isolated and proved rugged and not really suitable for farming so gradually the settlers walked away with the last one to leave in the early 1940s when the Govt closed the road after a series of major slips. These slips still cause issues from time to time in maintaining the track and there are short sections where riders are advised to dismount and walk. 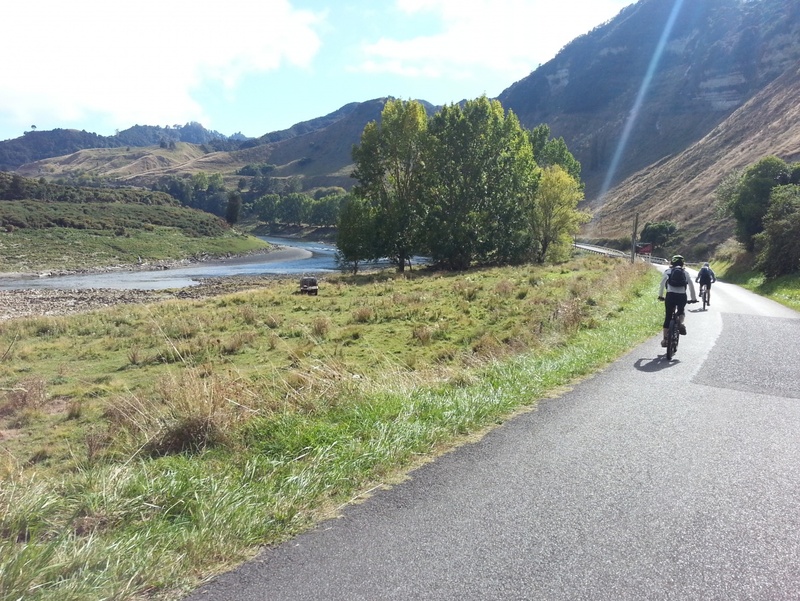 Fast becoming one of the great 'must do' one day rides in NZ. 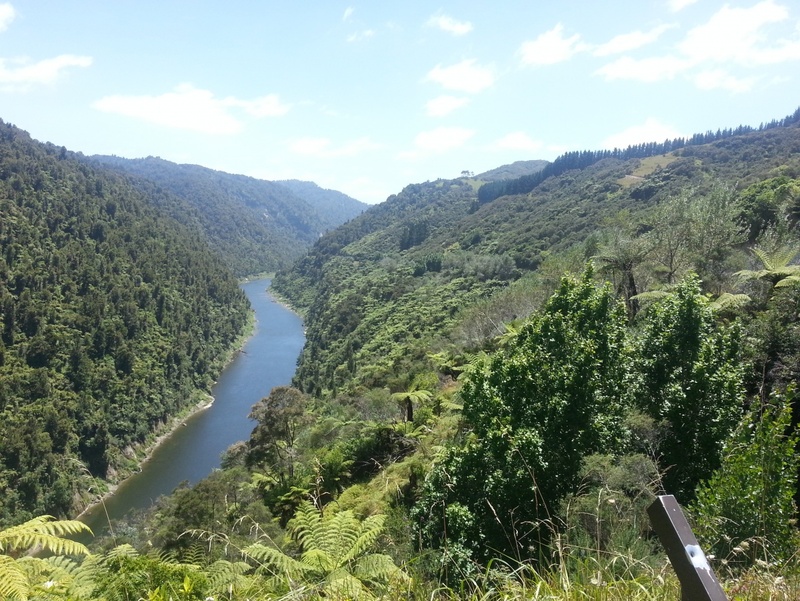 Regarded as an iconic trail which follows the original '6 foot Rd' through the Mangapurua Valley before reaching the iconic 'Bridge to Nowhere', and the short section to the original ferry boat landing on the Whanganui River. Along the way there is evidence of the settlers with large areas of grass and remains of drainage work and plantings. Signs tell you the names of the settlers who farmed particular areas along the trail. A 'trig station' marks the highest point and there are stunning views over the rugged countryside. The trail is approximately 38 kms one way and is generally level 2 classification although some sections are more testing. Trail is a mix of clay, and grass with sections of typical mulch/metal/dirt. 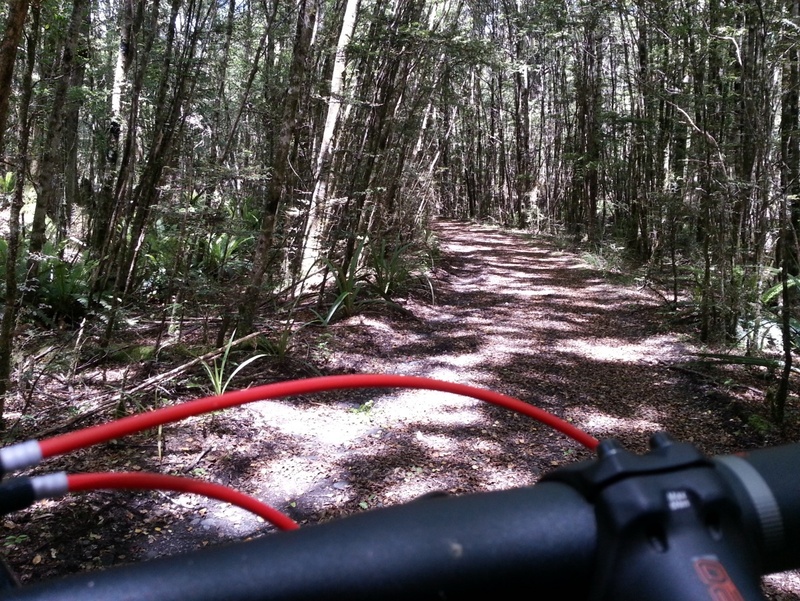 It is recommended that you do this ride in dry conditions as damp or wet clay will stick and can be impassable. To do this ride you must have a prearranged drop off at the start and a jetboat from the landing to Pipiriki, for transport from there. You can return by the same route, but allow time as this would be a testing ride both ways. A great 'before breakfast' ride. 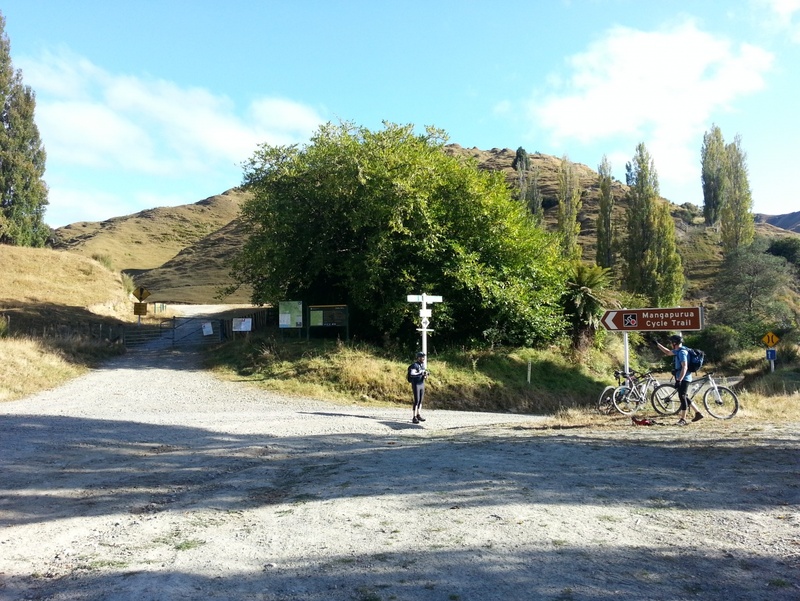 Riding 10 mins from The Peaks Motor Inn on the road to Raetihi and turning left up Lake rd takes you to Ratamaire Rd. This is a lightly metalled and grassed fully fenced farm road through rolling sheep and beef farming country, with stunning views back over Ohakune township to Mt Ruapehu. 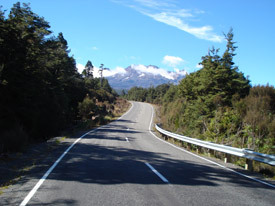 The road loops across to the main Ohakune - Waiouru highway. The ride takes approximately 1.5 - 2 hours, depending on your speed and is a level 1 - 2 category track. The elevation has a gradual climb to the high point before dropping to Rangataua and returning to Ohakune via Dreadnought Rd. 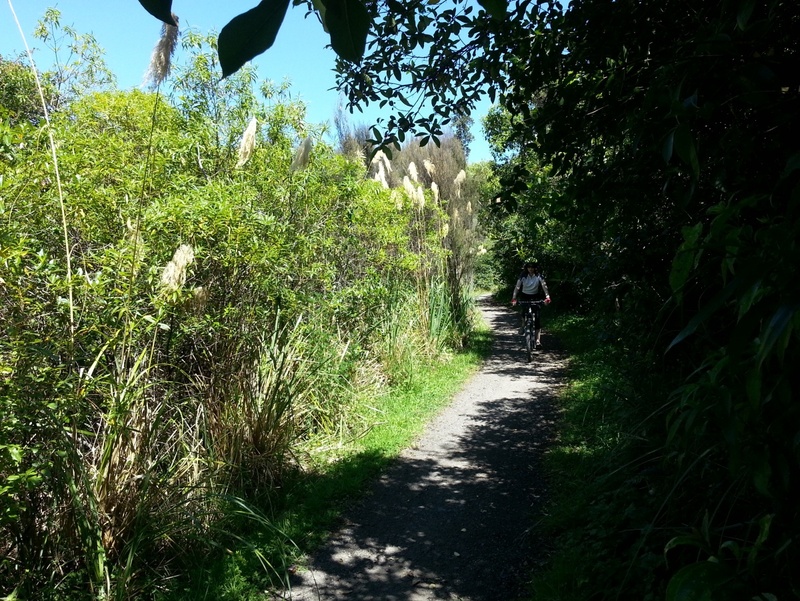 You can extend your ride by taking in The Lakes Reserve ( 1.8 km round the lake) or really push it out to include the Rangataua Forest trails. A quick 10 mins from The Peaks brings you to this short very pleasant 1.8km loop off Lakes Road. This is a dirt road [with some interesting pot holes] which takes you on a quick trip around the lake back to the start point. It's a combination of old gravel and dirt covered by forest and bush mulch, some parts are open and others enclosed by tree canopy. It is a great quick addition to the Ratamaire Rd ride. Interestingly - this lake is the southern most blowhole (or vent) of The Pacific Rim. Little known, but an absolute cracker ride, - if you're in the area, do this ride !!. 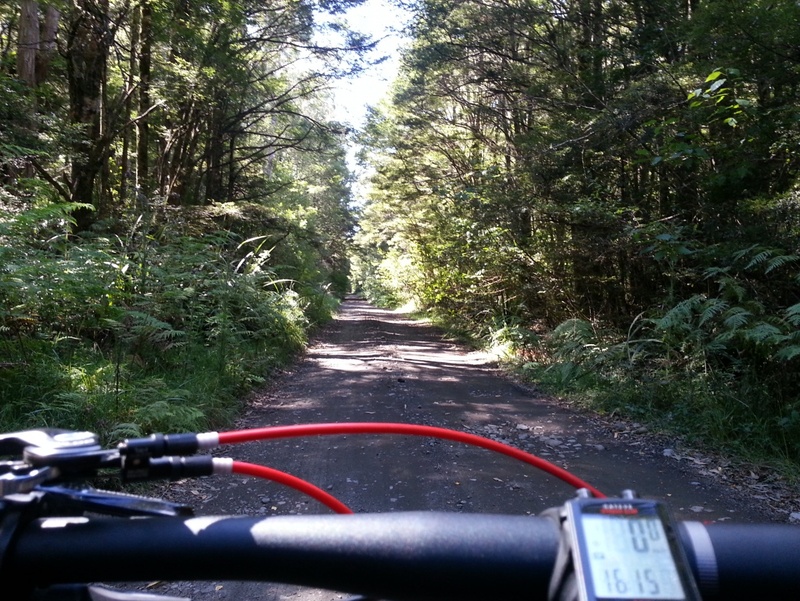 Head down Dreadnought Rd to Rangataua and over the rail lines to the numerous trails in and around the forest [you will have to cross over 2 rail bridges - check the lines and don't dawdle]. Ride on the railway access Rd beside the lines, for about 4 - 5 km, before a left turn up the metaled and dirt Forestry Rd which takes you through some great sections of forest on a good surface, eventually leading to a climb on mulched single/double track under canopy to the turnaround point [a small clearing]. This is a reasonable climb punctuated by clambering over a substantial fallen tree across the trail. The middle and upper reaches of this ride will have you asking why it's not more well known? From the turnaround you soften the suspension and 'let it go' gradually descending back to the rail lines. Additionally there are several single trails which link to the road, [the top one is the better] these are OK to ride but in places they may be a bit overgrown, with 2 of the lower tracks boasting some large mud holes from 4 wheel drive enthusiasts. Single tracks would be level 2 with some stretches requiring good concentration. 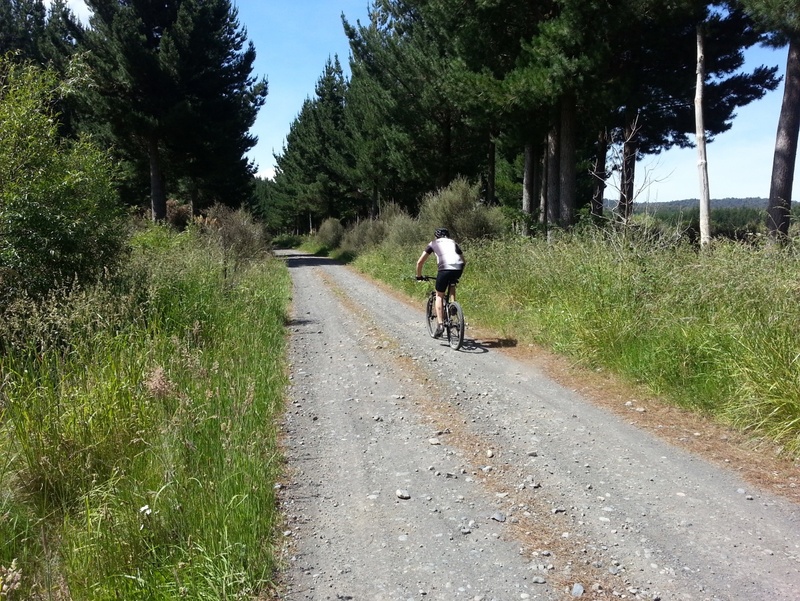 Overall it's a good 40K ride [rtn from Ohakune] depending on what single trails you try. 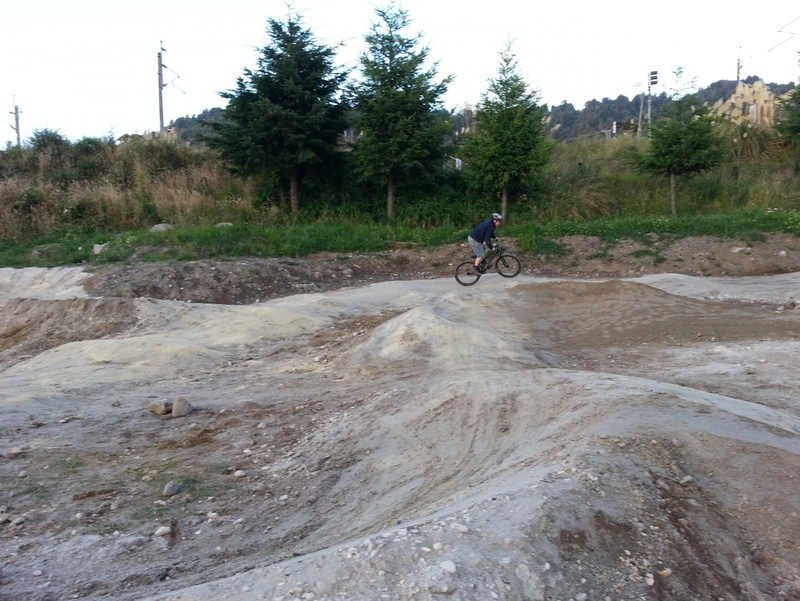 The Te Pepe Pump track is a recent development on the site of an old quarry. 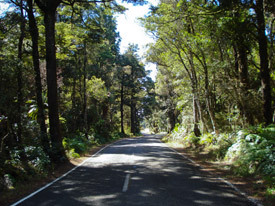 It sits at the base of Ohakune Mountain Rd and the start of the Old Coach Road which passes beside it. 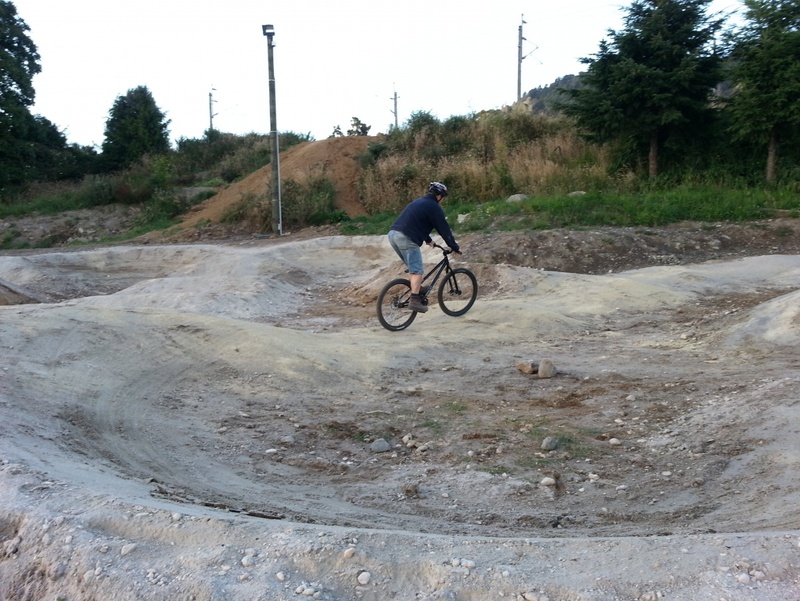 The track has two identical sides each with multiple berms and bumps, and is in the shape of a moth, hence the name Te Pepe It is designed for recreation and competition, and is suitable for all ages and levels of ability. The track sits on a hard dirt base with a compacted pumus layer and then a lime/pumus mix on the surface to make it hard and fast. 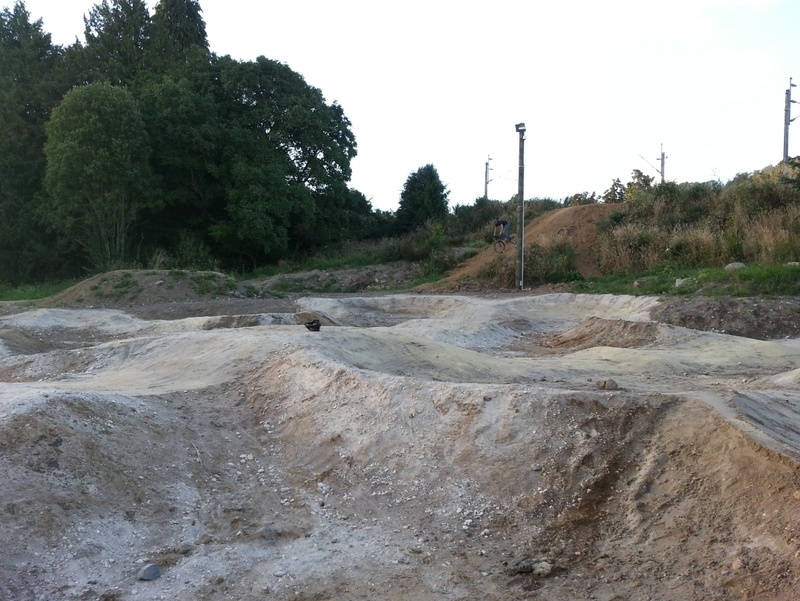 Featured is a 'drop in' with 2 table top jumps leading to a high fast berm which cuts back into the track. Te Pepe is constantly maintained to a high standard, with a viewing bank, and picnic area, along with flood lights for night events. The main entrance is over an old historic bridge, one of two remaining in NZ. You can spend alot of time just riding around, and it's great for increasing your skill and ability level. A steady 17 km climb from our gate, on a good sealed road up to The Turoa Ski Field car parks, [for more detail on the climb see our 'Road Cycling page]. The majority of people however - take transport to the top carpark and enjoy the downhill rush. The road is well sealed but there maybe grit in places left over from the winter season, so be watchful. Also, even in mid summer be aware of the windchill factor, although it may be warm, once you st and get moving it can be chilly due to the altitude, so long sleeves would be wise. As you descend you will move from barren rocky slopes to low alpine grasses and then overhead forest canopy before breaking out and into Ohakune. Both local bike hire operators do packages which include transport to the top. 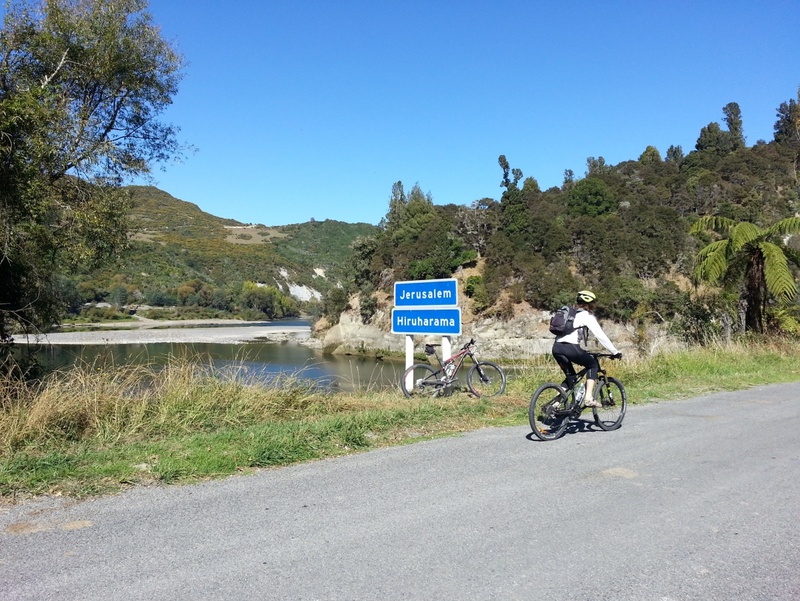 This is a 65km ride via the scenic route on seal between Pipiriki and the junction with SH 4 about 14 km out of Whanganui. It follows the Whanganui River [The Rhine of the South] and passes through some historical sites and old settlements like London & Jerusalem. You will also see some ancient fossilised shell in the cliff face and an old flour mill from the mid 1800s along with other interesting sites, and the River Queen coffee shop is a great welcoming pit stop. It can be done either way, and is do-able by almost any level of ability. You can have a 1 day ride or stop halfway [accommodation available] and take your time over 2 days. Drive to Pipiriki - parking there and do an out 'n' back, or get a ride with the postal delivery to the other end and cycle back. Traffic is light and the ride is enjoyed by all who complete it.